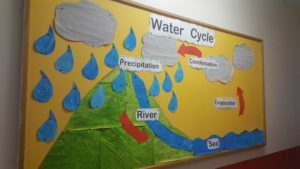 In 3rd and 4th class we have been learning all about the water cycle.We all clubbed together to create this noticeboard depicting the workings of the water cycle. 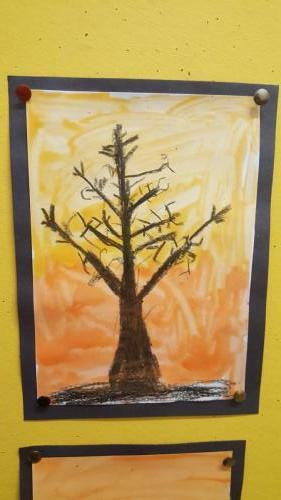 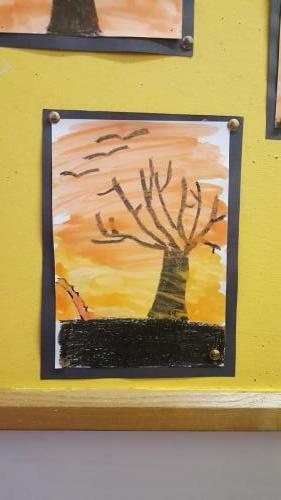 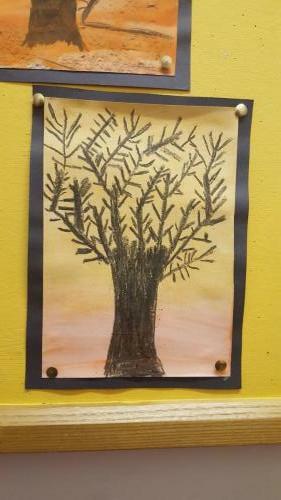 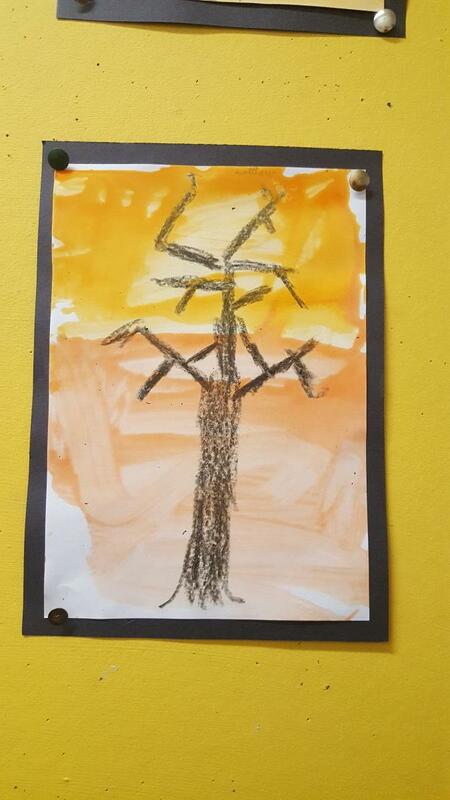 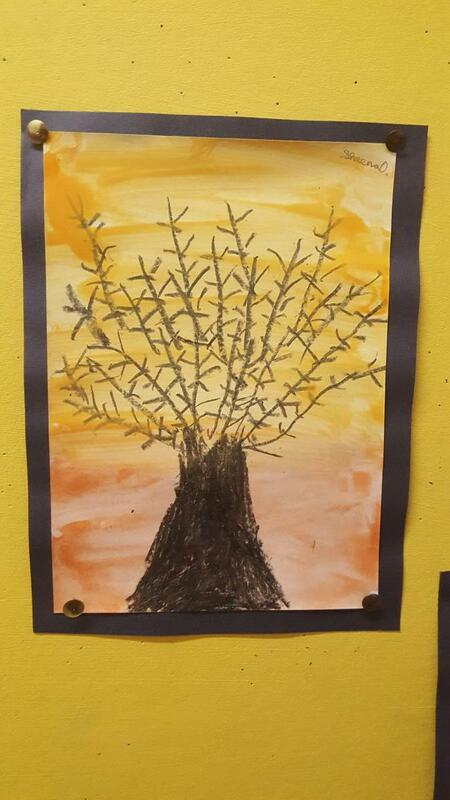 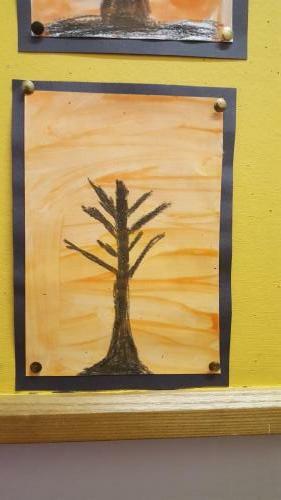 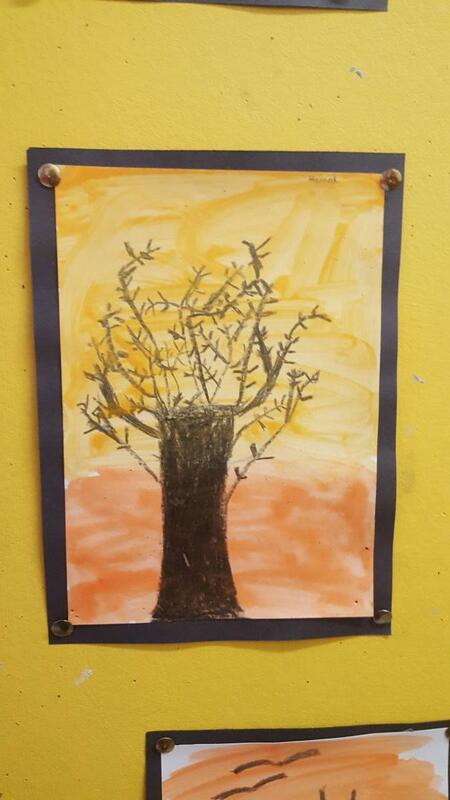 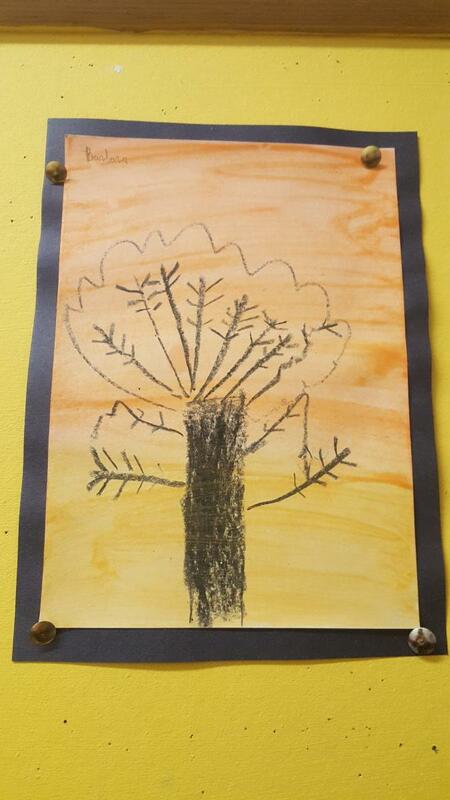 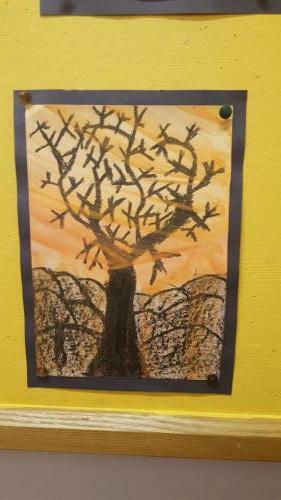 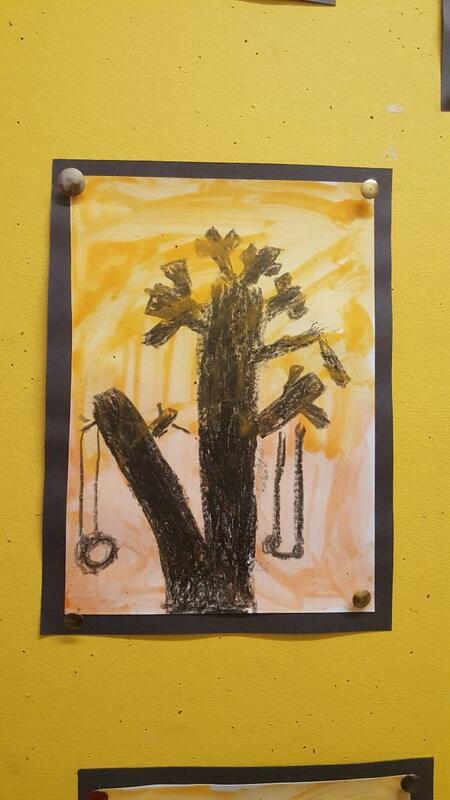 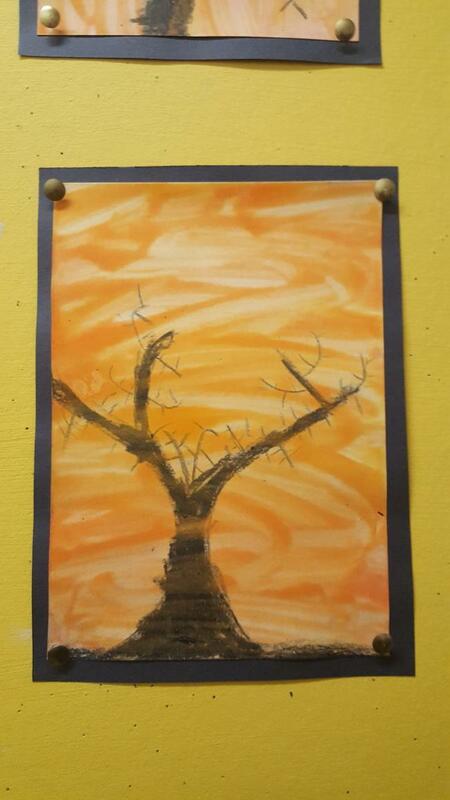 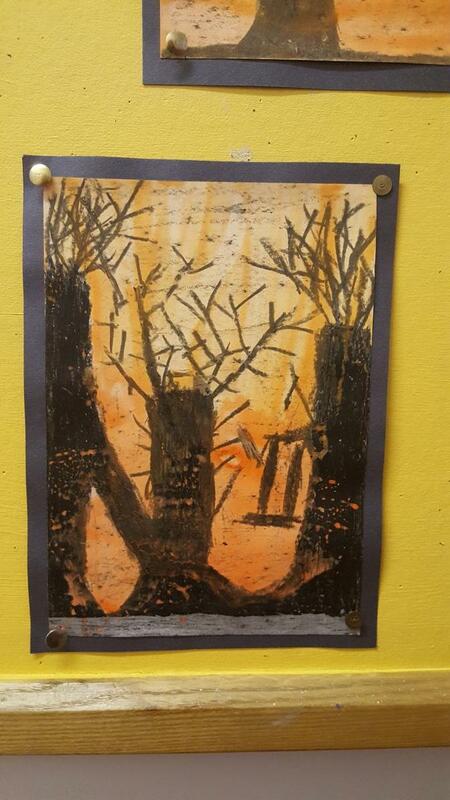 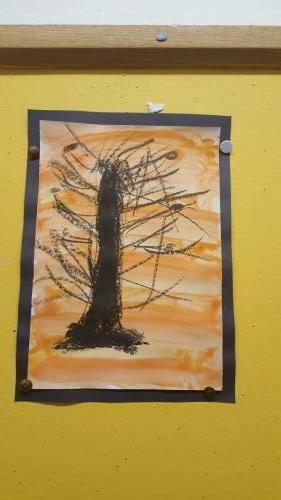 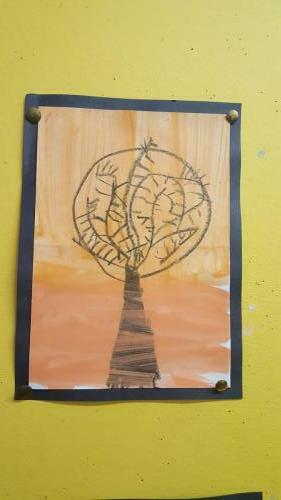 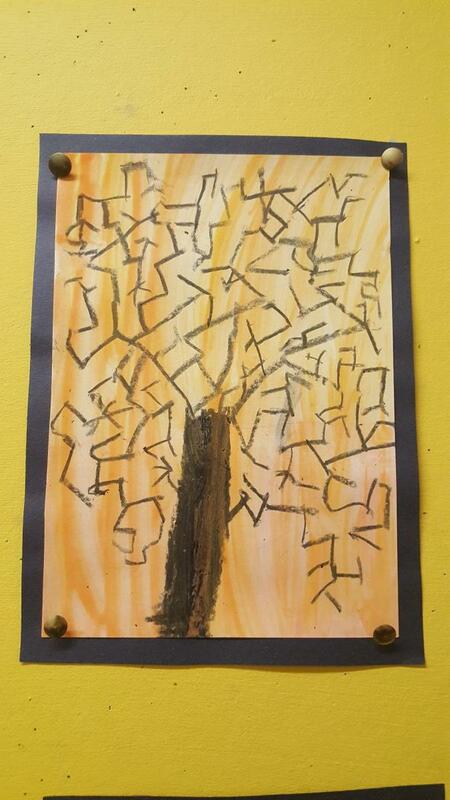 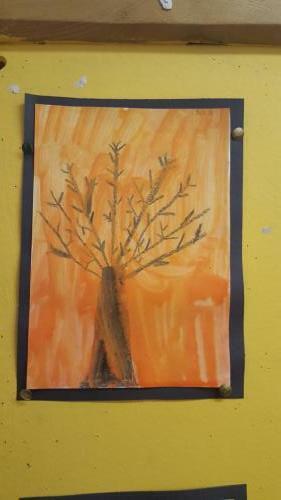 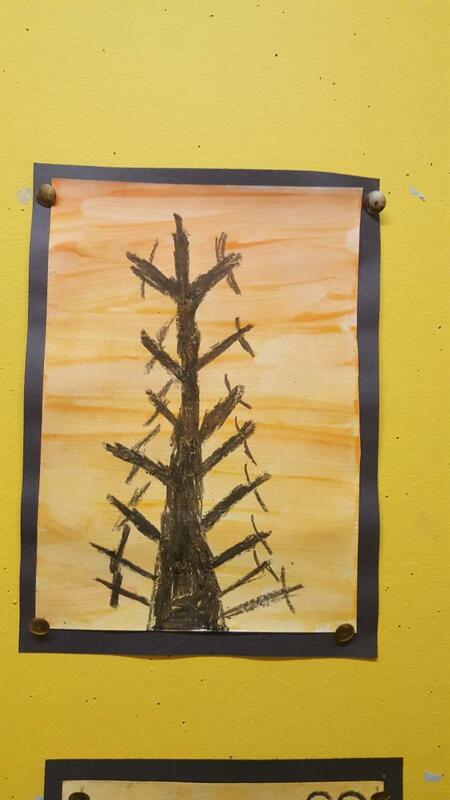 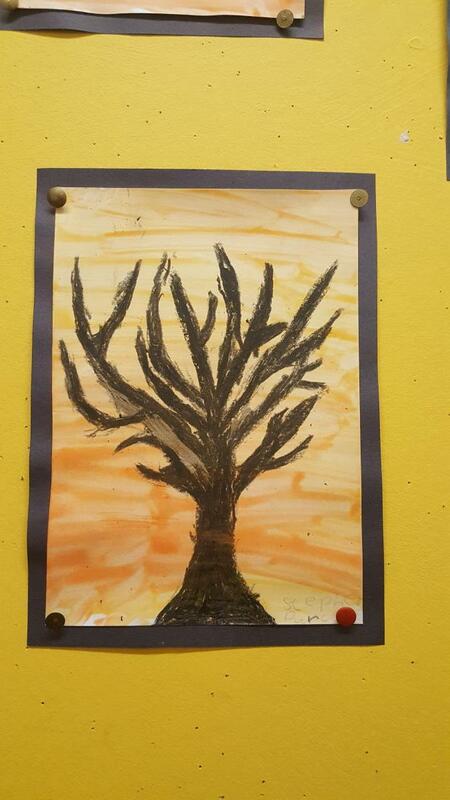 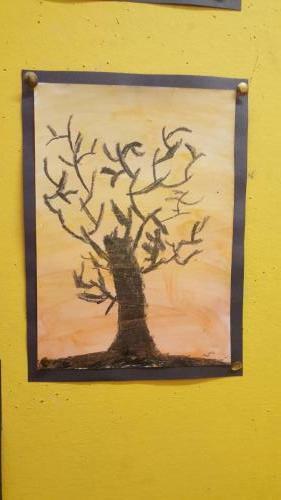 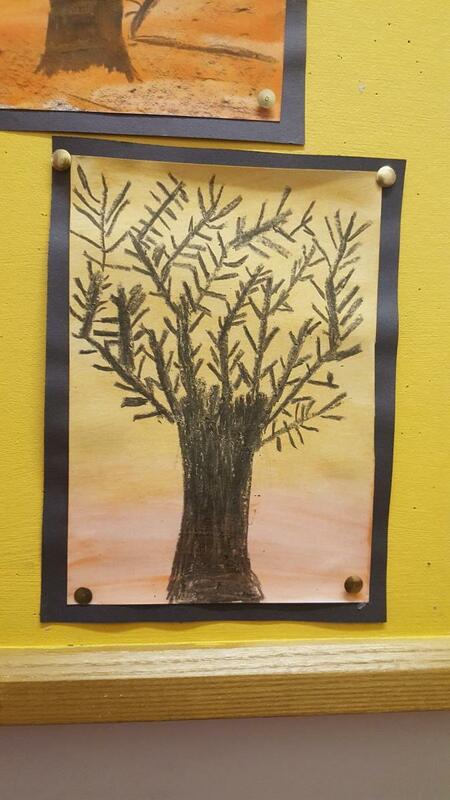 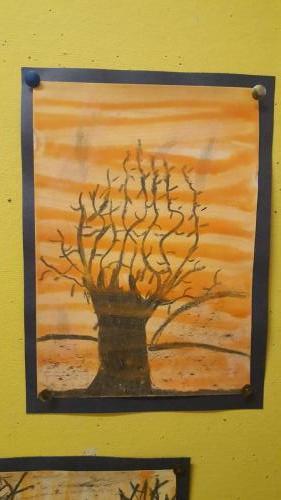 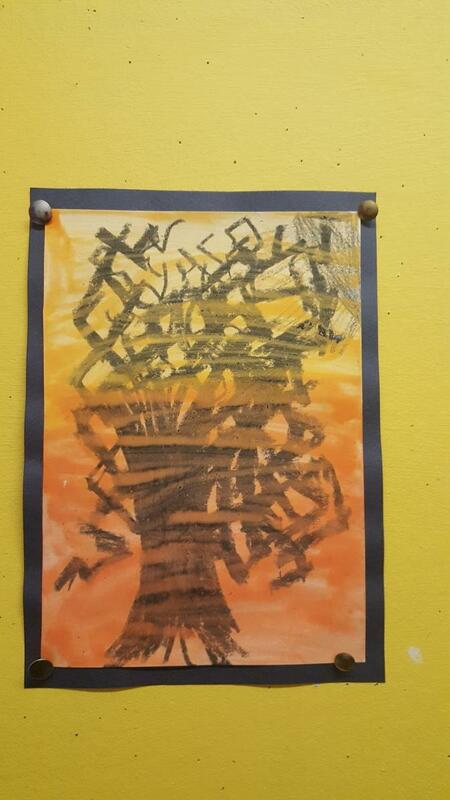 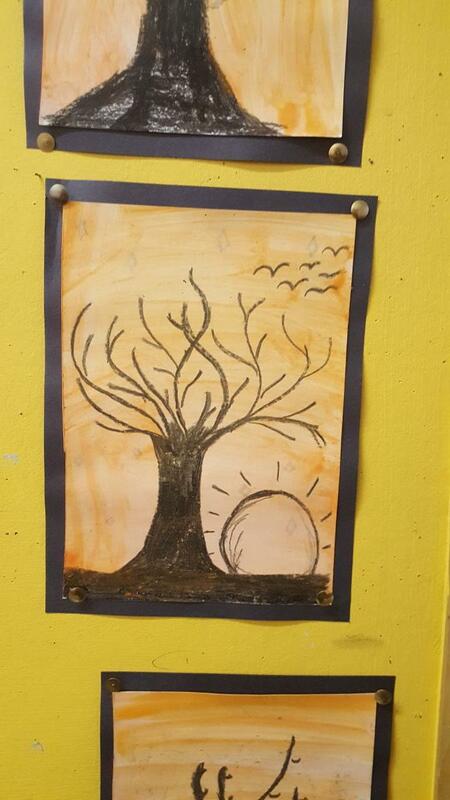 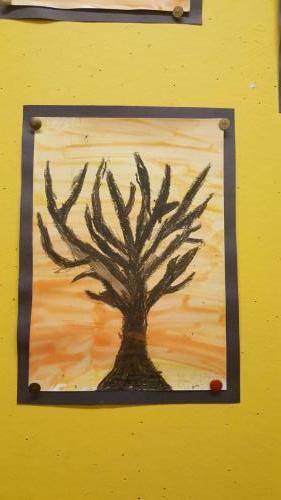 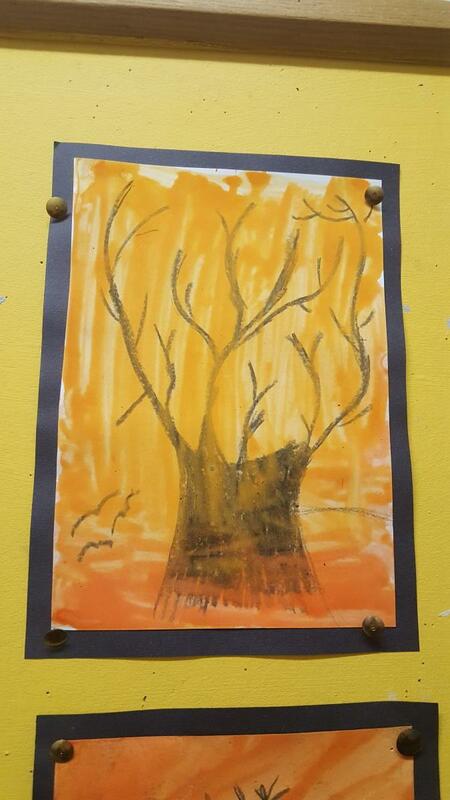 We have portrayed a winter tree at sunset – sometimes on a clear evening in winter we are lucky enough to see the bare branches outlined against an orange sky. 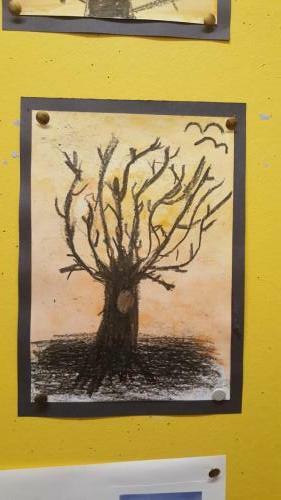 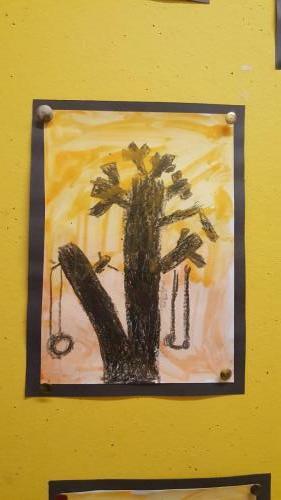 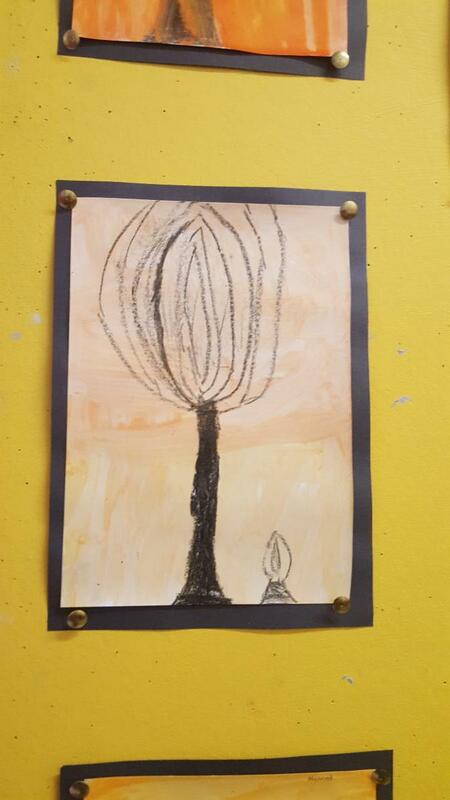 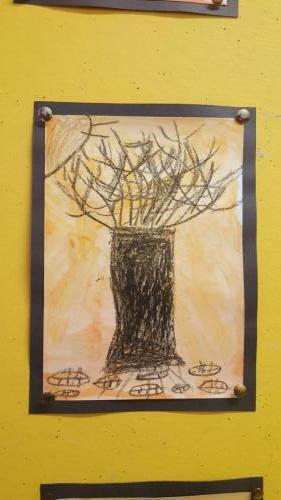 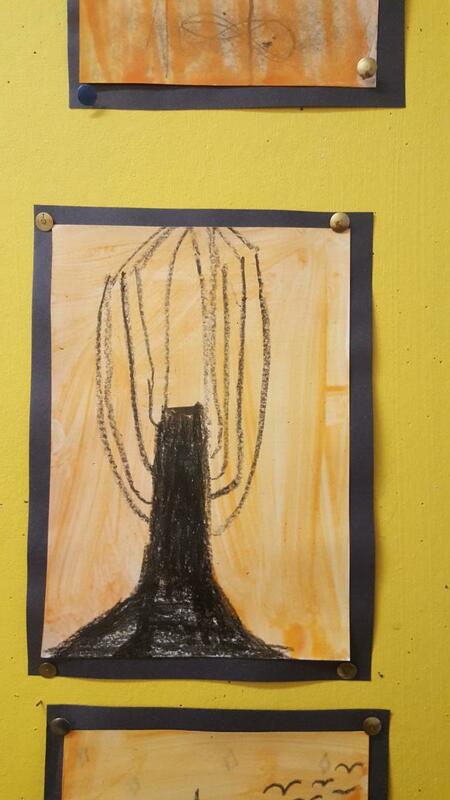 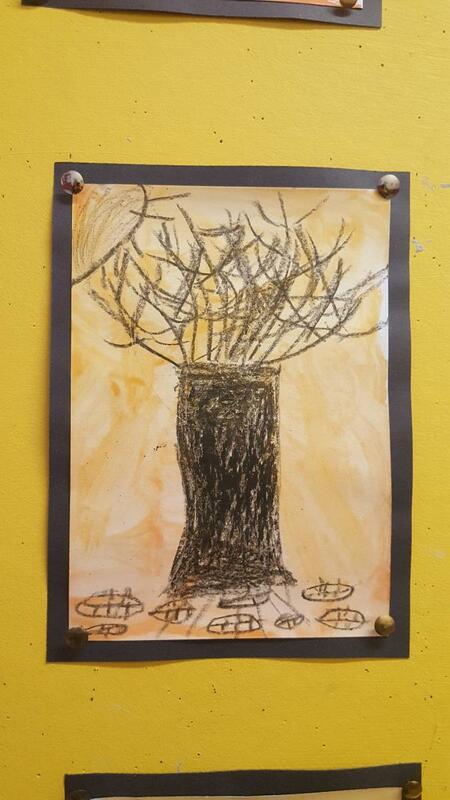 One of our novels this year is called The Owl Tree. 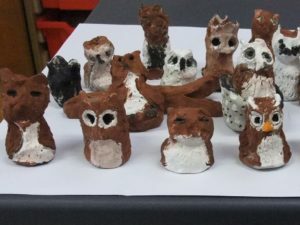 We have created our own owls from clay. 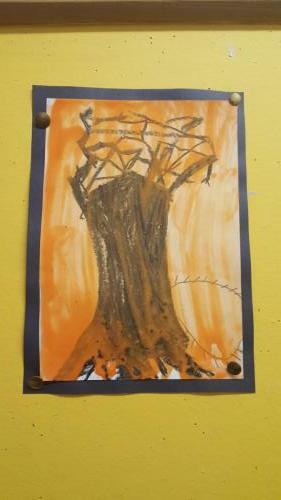 Other books being read are The Sheep Pig, George Speaks and The Stray. 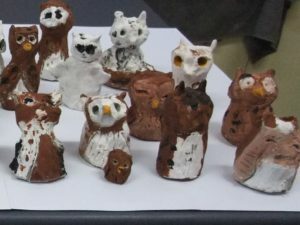 We are writing reports on owls and pigs at the moment! 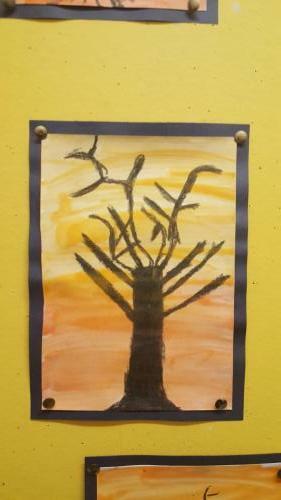 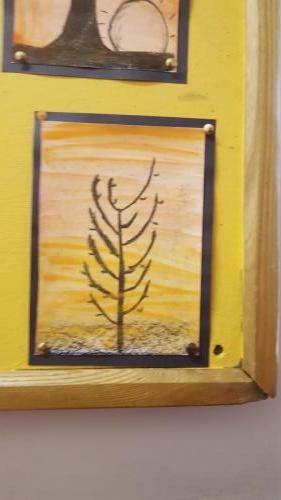 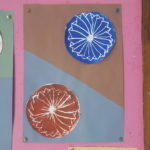 Take a look at some of our artwork. 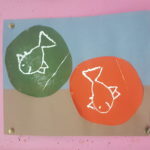 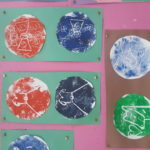 We really enjoyed making these prints. 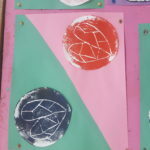 Apart from trying to remember all the names of 2D shapes we are also testing them to see which shapes tessellate so we have set up ‘Tessellation Stations’ to try fitting the shapes together.